Why Rebiya Kadeer for my final project? Originally I had planned to interview a Hui family from Shanghai as my final project to help myself as well as my fellow classmates put everything we have read these past few months into prespective by way of an example. It would bring the scholarly theories and anthropological observations that we’ve become accustomed to discussing every thursday afternoon a bit closer to home as this family reside in Toronto. I had a brief correspondence with the daughter of the family who also attends the University of Toronto but at one point she ceased to reply, maybe because of the demanding nature of the workload here at UofT. This led me to search for a plan B.
I came across a youtube video on my search regarding a recent movie trailer about an Uyghur woman. Watching it intensified my curiousity regarding her. Who is she? What is her story and how has she achieved the status of one of the richest people in China not only as a woman but an Uyghur?! Why was she described as a hero to some while terrorist by others? There I decided that I would led the reader on the journey to fiind some answers as I personally searched for them. I hope you find this as enthralling and inspiring as I do while enjoying the process of learning. 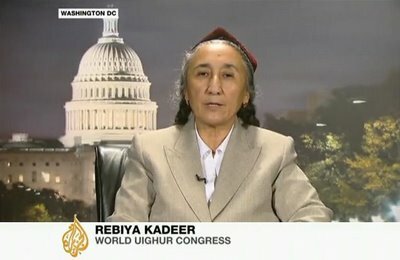 Rebiya Kadeer is one of the most prominent political activists and rights advocate of the Uyghur people. Kadeer is the head of the World Uighur congress which represent the Uighur community in exile, as well as the Uygher American Association. Kadeer was born in on January 21st, 1947 in the city of Altay, Uyghur Autonomous Region of Xinjiang. At the age of 18, she married and moved to the city of Aksu, Xinjiang, where she started an business venture with her husband that had to be shut down during the Cultural Revolution which resulted in her divorce. Following her divorce, Kadeer opened a self-service laundry facility in 1976. Five years later, Kadeer relocated to Urumqi, capital of the Xinjiang Uyghur Autonomous Region, where she later remarried Sidik Rouzi, then an associate professor. It is during the years that followed that Kadeer took her business expansion to the next level. She founded and directed a large trading company where she provided her fellow Uyghurs with employment opportunities and professional training, as unemployment rates are high amongst the Uyghurs. Kadeer also established a department store specializing in Uyghur ethnic costumes. She later converted her store into a 14,000 square meter commercial building. In the years that followed, Kadeer already had her business operating outside of China, with locations in Russia and Kazakhstan, having taken advantage of cross-border trading with the collapse of the Soviet Union in 1989 which gained her a lot of her wealth. At that point, Kadeer was one of the five richest people in China and had earned herself the nickname ‘the millionairess’ (http://melandri.blogspot.com/2009/07/biography-of-rabiya-kadeer.html). Kadeer had become so prominent in China she was appointed in the national assembly. Above is Rebiya stating where the idea of the 10 Conditions of Love came from. 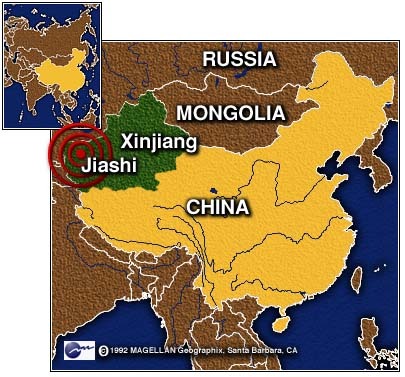 Having witnessed the repressive treatment of the Uyghers at the hands of the Chinese government, the Gulja Incident in particular which led her to make several pleas to the Chinese government to stop the genocide against the Uyghers. Kadeer’s pleas went unanswered. Kadeer publicly denounced the Chinese government actions against the Uyghers in a speech before parliament in March 1997. In particular, she criticized the Chinese government crackdown on an Uygher student demonstration that had taken place a month earlier, and calling for the Chinese officials to respect the autonomy of the Uyghers. Chinese government stripped Kadeer of her membership to the Communist party as well as the Political Consultative Conference. She was also forbidden to travel abroad. Kadeer was arrested in August 1999, on charges with leaking state secrets, as she was accused of sending newspaper clips containing reports on the activities of the Uyghers to her husband in the United States. Coincidentally, her arrest came during the time when an American delegation was visiting Urumqi to meet her. In March 2000, after a secret trial Kadeer was sentenced to eight years in prison. The sentence was reduced in 2004 by one year. After intense pressure and lobbying by the U.S congress, Kadeer was released by the Chinese government in 2005. Kadeer was released to U.S. custody on medical grounds after a visit by then secretary of state Condoleezza Rice. In exchange, the U.S dropped a resolution against China in the United Nations Commission on Human Rights. Soon after her release, Kadeer was appointed as head of two Uygher exile bodies, the Uygher American Association which represents more than 1000 Uyghers in the United States, and the World Uygher congress. More recently, the three forces movement, which stands for Uyghur rights activists in exile campaigning for an end to the ethnic repression of the Uyghur people in China. Kadeer was accused by the Chinese government for of plotting the recent riots of the Uyghers and the Han Chinese in Urumqi that left about 200 people dead and over a thousand injured. Kadeer has strongly denied the accusations. In fact, she accused the Chinese security forces of provoking the unrest. Kadeer is a mother of 11. She currently lives in Virginia in the United States. She continues to try to gather support for her move and the rights of the Uyghers. ‘The 10 conditions of Love’ is a documentary that has been recently released that tells the story of Kadeer and her struggle. China has tried to block the movie from appearing in the Melbourne International Film Festival and other festivals. Taiwan has rejected the Chinese requests and decided to screen the film in its film festival in October. “Ten Conditions of Love” is a documentary recently produced about the life of Rabiya Kadeer in an attempt to give the world an account of her life and the personal and political struggles and hardships she has endured for the sake of a better life for the Uyghur people living in Xinjiang, or East Turkistan as known to them where they have faced oppression from communist Chinese government. Even before its official premier, the documentary had made the headlines across the Globe and gained itself a great deal of publicity and controversy. The Melbourne international film festival’s decision to showcase the documentary drew heavy criticism from the Chinese government and Chinese filmmakers and directors alike. Three Chinese films produced by Xtreme Pictures were withdrawn from the festival in protest. Jia Zhangke, one of at least three film producers who withdrew from the festival in protest asserted that showing the movie two weeks after the riots in Urumqi is disrespectful to the victims while at the same time cited the highly political content of the festival as another reason. Chinese opposition to displaying the film in Melbourne was quite fierce and intense. China mobilized its political, financial and technological methods to prevent the movie from being shown at any international film festival. The least expected of this was an act of cyber terrorism as labelled by Rebiya Kadeer herself, when Chinese attackers hacked the Melbourne International Film Festival (MIFF) web site and replaced the movie page contents with a Chinese flag and pro-China messages while adding messages in English requesting a formal apology from the festival organizers (http://www.altfg.com/blog/censorship/the-10-conditions-of-love-melbourne-festival/ and http://underthejacaranda.wordpress.com/2009/07/26/chinese-cyber-terrorism-gives-kadeer-more-publicity/). The organizers announced that there had been hundreds of other attempts to hack the festival web site. The festival organizers have also confirmed that the web site was flooded with e-mail messages protesting the appearance of the film, the contents of them best described as “vile” ( http://www.altfg.com/blog/censorship/the-10-conditions-of-love-melbourne-festival/), while others confirmed that a number of death threats were received (http://blogs.crikey.com.au/cinetology/2009/08/20/the-10-conditions-of-love-film-review-undernourishing-non-fiction/) . In Taiwan, there was outrage over the withdrawal of a Taiwanese director who produced and financed the movie “Miao Miao” by a Hong Kong company which received its financial support from China under whose name the movie was officially entered. The incident was seen as a severe dent in Taiwan’s record in human rights and freedom of speech, prompting calls to premier Ten Conditions of Love all across Taiwan as a way for her to redeem herself. Politically, a diplomat in the Chinese consulate in Melbourne called for the movie to be withdrawn from the festival. While the Chinese storm did not succeed in stopping the film from premiering in Melbourne, it wasn’t entirely fruitless. Fearing a similar Chinese onslaught, the Canberra International Film Festival decided against showing the documentary, although the publicly announced reason was that the movie was not up to the festival standards, a statement that, while may well be true, definitely has one or more question marks surrounding it. The owners of the Video on-Demand web site which acquired the online rights to the film in July were hesitant to upload the video fearing a similar cyber attack. “Clearly, we can’t show a film on our site if it’s going to prevent our subscribers from seeing other films,” conceded Joining The Docs founder Tim Sparke (http://www.unpo.org/content/view/10249/236/). TVF International, in charge of the international distribution of the movie, faces similar challenges. The documentary despite controversy and much publicity, has failed to live up to its billing financially, as countries such as Japan, South Korea, and Canada declined to premier the movie. It appears that these countries and others did not want to anger the Chinese in the fear of losing some of the co-production funds that China offers. Nevertheless, Qatar-based Al-Jazeera and Noga in Israel both acquired the rights for the movie and most significantly from a financial point of view, ABC in Australia has all but signed a deal to buy the documentary. The controversy surrounding the film was arguably a blessing in disguise; as it turns out, it worked as a great promotion for the 53-minute long documentary, which was produced on a budget around US $111,250. In fact, right after the festival ended, the documentary was showing in theatres across Melbourne, something that would have never happened, certainly not in the producers’ wildest dreams, had it not been for the political uproar the documentary brought about. “A documentary like this would never normally hope to get a cinema release,” producer John Lewis confirms (http://www.unpo.org/content/view/10249/236/). One thing to note is that the film was shot in China, hence the producers were to a large degree restricted in more than one way which inevitably had a direct impact on how the film was captured. One must also keep in mind the limited funding available which also limited the organizers. The documentary itself appears to raise a few question marks over a number of issues. While it sheds light on the struggle of Kadeer and portrays her as an extraordinary selfless woman who has devoted her life for her nation, it does leave out some important details regarding her life, particularly Kadeer’s rise to fame to become one of China’s richest and most influential women. This interestingly is a point that Kadeer’s proponents highlight to cast some doubts over her, accusing her of exploiting suspicious ties with the Communists government in China during the time she was a regional leader (http://www.smh.com.au/world/uighur-leader-will-take-her-case-to-canberra-20090717-do9e.html). There are doubts over the size of Kadeer’s wealth as some question the motive and authenticity of Forbe’s listing Kadeer as the richest woman in Xinjiang and one of the eight richest in China in 1995. It is believed that the size of Kadeer’s wealth may have been purposely inflated to polish Kadeer’s image and boost her influence in China. This belief is further supported by the fact that Kadeer’s ties with the U.S improved after Forbes listing of Kadeer. While an inspirational symbol and a spiritual leader for the Uyghur, Kadeer is perceived as a traitor in China, and most Chinese believe that she’s the mastermind behind the violent riots of July 2009. In a Chinese news article, it was claimed that “Hou Hanmin, head of the publicity department of the Communist Party of China (CPC) Xinjiang regional committee. “Kadeer held a high-level emergency meeting in World Uyghur Congress immediately after the June 26 incident. Three resolutions were adopted to make use of the incident in encouraging Uyghurs to make troubles in Xinjiang; to strive for sympathy and support from overseas and set June 26 a memorial day. At the Congress, Kadeer and others plotted to instigate riot by sending messages via the Internet, telephones and mobile phones. They want ‘Uygur fellows in China’ to be mobilized and called upon them not to fear any sacrifice. They also called on “all the Uyghurs across the world” to act on July 5 and 6 and put pressure on the Chinese government” (http://www.chinadaily.com.cn/video/2009-07/10/content_8415890.htm). Kadeer’s proponents point out that Kadeer is a convenient tool that the West can utilize at will to apply pressure against the Chinese government. This helps fuel public resentment towards her as Kadeer makes herself easily perceived as a collaborator with the enemy and a number of incidents can be seen as case in point. The officially announced reason behind Kadeer’s arrest in 1999 was that while meeting with a U.S. delegation she was “disclosing state secrets”. While this may have just been a pretext the Chinese used it to carry out the arrest, one must also question why the Chinese had to wait until then to carry out the arrest if it had been on their agenda. Also, the Hans perceived this woman as a manipulative and deceptive person who was seeking to build a legacy for herself, as evident from the Chinese point of view in her obsessive pursuit of the Noble prize, for which she was twice nominated. To achieve this goal, Kadeer would to hire a photographer to document the details of her personal experience and ‘epic-like legends (http://www.globaltimes.cn/www/english/truexinjiang/urumqi-riot/rebiya-kadeer/2009-07/446379.html). There was also controversy surrounding Kadeer’s news interview with Al-Jazeera, where she displayed a photo that depicted a procession in Shishou claiming that the photo was taken in Xinjiang. Another mysterious side to Kadeer is her contacts with some opposition groups which can be described as suspicious at best. Most notably, she’s accused of financing and in direct contact with the East Turkestan Islamic Movement (ETIM); a group reportedly affiliated with Al-Qaeda, which is accused by China and the United States of carrying bloody attacks in Xinjiang in 1990 and the most notable attack in 1997 bus bomb attack to which she was affiliated. The fact that she receives annual funding from the U.S. is also not received pleasantly by the Chinese. Furthermore, Kadeer had called on countries to boycott the 2008 Beijing Olympics, further angering the Chinese. The documentary represents the Uyghur’ side of the story, but what do the Hans say? In a country like China, where the media is under the full control of the government (controlled by the Hans), it sometimes becomes difficult to identify the real version of such controversial events, as often the only version that leaks to the outside world is that coming from government. The immediate causes of the July 2009 riots remain debatable; the Hans blame it on the Uyghur, whom they claim started attacking the police and the Hans during a funeral for two Uyghur co-workers killed earlier in what’s become to be known as the Shaoguan incident (http://en.wikipedia.org/wiki/Shaoguan_incident). The Uyghur were outraged by what they perceived as ‘lack’ of protection of the Uyghur, and that none of those responsible for the killing were arrested (http://en.wikipedia.org/wiki/July_2009_%C3%9Cr%C3%BCmqi_riots). They also point out that the police force is made up mostly of Hans after all, who were naturally biased in favour of their race. But while this was the spark that triggered the July 2009 riots, the root causes run much deeper. The Uyghur consider themselves to be the original inhabitants of the land, whereas the Chinese government considers all parts of China to belong to the Han since the Han dynasty. Thus, it’s a struggle of existence, especially when the Uyghur make no secret of their desire for independence; a red line by any stretch of imagination to the Chinese government. The Uyghur have always felt that they’re treated as second class citizens. They point to how their farms were initially seized and given to the Hans in 1950. They also point to the fact that while they may be granted top regional positions, these positions often come with limited or no real power, and the de facto rulers are indeed the party secretaries, who are all from the Hans, some of whom have a very limited educational background. The Uyghur also complain that they can’t travel freely and that their passport applications are intentionally delayed, and that they are usually given lower salaries than the Hans. The Uyghur also feel that they should not be treated as a minority since, unlike the Zhuang and the Hui, they had been a part of an independent state in the past, before being annexed by China, making them continuously feel as an occupied people. The Uyghur are in many cases forced to learn Chinese and are not allowed to freely express themselves whether it is in their heritage, culture or religion. For instance, they point to government restrictions on who can attend mosques and how they are being forced to learn Chinese. The hard and soft policies of the State forced on the Uyghur are also unsettling. Not only do these policies that seem to be sometimes encouraging and implementing favourable policies promoting Uyghur heritage yet at other times trying to wipe out the Uyghur identity keep this group from trusting the State, but it increases the justification for separatist movements (Justin Rudelson and William Jankowiak, “Acculturation and Resistance: Xinjiang Identities in Flux”). On the other hand, the Hans feel that the Uyghur are given special privileges that the Hans themselves don’t quite enjoy. For instance, as an official minority, the one child policy does not apply to the Uyghur. The reality on the ground is different however, as the Chinese government has carried out coercive birth control and forced sterilization processes among the Uyghur. They also attribute the lower levels of education and ranks in the government owned by some Uyghur to the fact that the Uyghur are “backwards and lazy” (http://news.asianstudies.dk/2009/09/minorities-in-china-the-Uyghur-of-xinjiang/). The Han also make claims that the Uyghur have nomadic natures which naturally sway their interests away from pursuing education, justifying the low ranks appointed to them, if any. As for forcing the Uyghur to learn Chinese, the Hans counter is that learning language is a necessity as it is the language used in technical colleges, universities and institutions, and hence it is in the Uyghur advantage to learn Chinese. I do not personally think that justifies their forceful policies. This 2 video series really shines some light on some the issues faced by the Uyghur. I do believe that sometime watching a segment like this really helps create an understanding better than one can achieve from reading articles, of course that is also important. But here is a very good visualization of a few of the hardships mentioned. Despite the twists and turns in the life of Uyghur activist, I was really inspired by her story because it sheds light on a rather unknown group of people who really need to be heard. The movie the “10 Conditions of Love” is a major stepping stone in this process. Now many more people know and will know not only about a wonderful heritage but the discriminations against it. I really wish Canada had accepted to feature this film as well because I believe it is the right thing to do and sadly, only when something is presented in the mass media does it get much awareness. I hope that many Uyghur youth are inspired by Rebiya Kadeer’s ambitions if nothing else to stand up, that your identity is only what you make of it, and that the boundaries placed on you are only as strong as your will to break them. On a more personal note, I will be visiting Istanbul tomorrow for a week and I will try to get in touch with the Uyghur community residing there to see their views on this film, Rebiya Kadeer, and the overall Uyghur situation. Check back for this :).